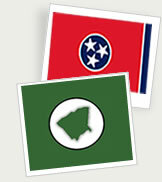 Our Mission – To protect, promote, and improve the health and prosperity of people in Tennessee. Policy development which leads to protection and promotion of health. The health department provides health services in the areas of: immunizations, communicable diseases, pregnancy testing, sexually transmitted diseases, cancer screening, nutritional supplement program for pregnant women (WIC), care coordination for Children Special Services (CCS), care coordination for pregnant women, child health and development (CHAD), nutrition counseling for special diet if referred by a medical provider, breastfeeding information and support, AIDS/HIV testing and counseling, and birth and death certificates. General Environmental Health services include inspections of restaurants & food, bed and breakfasts, hotels, motels, day care centers, schools, campgrounds, public pools and hot tubs, and tattoo establishments and artists. This division promotes annual rabies clinics throughout the county, follows up on animal bites, delivers specimen to the laboratory for testing of rabies, and follows up on laboratory results. New pool plans are approved for compliance with state regulations.